By: Troy CreasyJust when we thought the Salmon River and other Lake Ontario tributaries we’re going into a deep freeze the recent warm up and rain has opened the creeks back up. Rivers are now running at a higher than normal levels. In fact, it rained all day today and almost all the creeks are blown out. This should only last a few days before they will be fishable again. When they drop fishing should be good again. We are working for the fish now with the high and cold water, but as the tributaries recede to normal winter levels there should be a good bite. 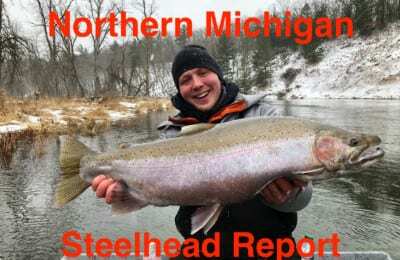 Steelhead fishing has been good up until the last week when rain made conditions challenging. The water is cold and the fish are spread out. On the other hand, November was good – fishing wise – on the Salmon River. However, there’s been no stability – weather wise. It was warm, then the water got low, then it got high, then it got cold real fast. Conditions have been constantly changing, but we haven’t stopped catching them. The good news is the size of our steelhead is way up. We’ve seen more big fish this season than we have in many years. The numbers are comparable to previous years, but the truth is because we’ve had all this high water we don’t know how many fish are really around. There might be a ton of fish around, but the conditions aren’t prime to get them. To remain successful given this recent warm spell a few adjustments back to high water fishing is necessary. Right now we should be fishing low and clear water, which means we use subtle colors and smaller offerings. This week, and possibly longer, we will be fishing high water. Keep in mind even though it’s high it is still cold. As always, egg sacks are the most productive. 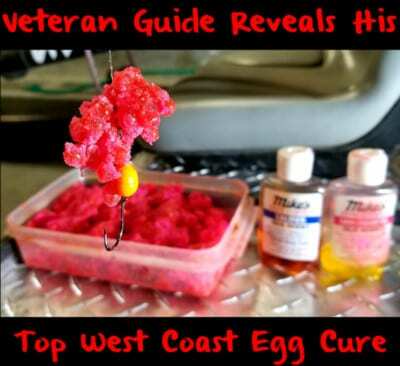 I’m using eggs cured in Natural BorX O Fire and tying them in Pink, White, Yellow and Blue Atlas Mike’s 3-inch squares. The 3-inch squares are prefect for the dime size egg sacks I’m using in the cold water. Netting colors depend on clarity. Beads and flies are working great, too. Meanwhile, when it’s this cold like this it is critical to apply scent to them. Fish are reluctant to move far when the water is this cold. My go to scent has been Mike’s Glo Scent Herring oil, but I have also had good luck with the Mike’s Anise UV Gel Scent as well. 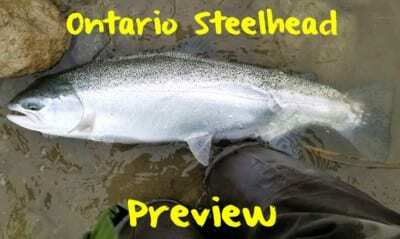 Steelhead are holding in the belly of the holes and their normal winter spots. I know I’ve said this a few times, but even thought we have high water it’s still cold. This means presentation is critical. 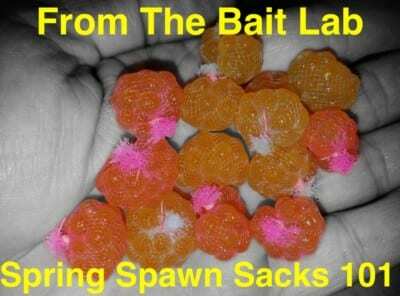 Don’t be afraid to downsize the size of your egg sacs and beads and lighten up to a five or six-pound test leader if the water is clear, which is should be again soon. Editor’s Note: Troy Creasy operates High Adventure Sport Fishing. 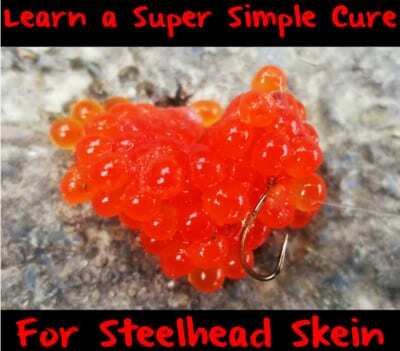 For more info on his guided Salmon River steelhead trips please visit https://www.facebook.com/troycreasy62 or https://www.highadventurefishing.com.